Interlocutor: Let’s move on to the AF Flight 447 issue, I’d like you to make an introduction and comments about this Flight and what happened first. Was there an extraterrestrial abduction? Ruanel: No there was no extraterrestrial intervention; there was no dimensional crack and no energy vortex, not in the way that many people have proposed. It’s true that there was a lot of mystery; it’s true that this case seemed to be unusual, something odd of the so-called paranormal, but this case was something simpler and there was obviously a plot. Interlocutor: A plot!! Was there a bomb on board? Ruanel: We always said that we (you and this vessel) don’t have to get into political or police-related issues because many people who do not believe in channeling would think that you are with those who plotted or that you have connections within the terrestrial plane if we disclose accurate information! Ruanel: Yes, we can reveal it without saying the source. Interlocutor: OK, was the airplane damaged previously? Ruanel: OK, There are hackers who are so, but so expert that great powers or private groups with a lot of money pay those hackers millions of dollars so that they work for these groups. Interlocutor: I see, Are we talking about a suicidal hacker? Ruanel: No, not necessarily Why? Interlocutor: Well maybe the plane crashed with the hacker inside. Interlocutor: Ah! So everything was organized then, before the takeoff the plot was prepared already. Did they control the plane remotely? Ruanel: No, they didn’t control the plane as if they had a remote control. The airplanes have tracker devices, satellital devices. There is a tremendous fallacy when they say that the airplane lost radio contact with Brazil and it took a while to contact with the Radio in Senegal Africa. That’s very childish, because at the same time the airplane has satellite contact. When they say that the airplane cut communication and there was a period without communication that’s has no real base. They simply sabotaged the satellite tracker, they sabotaged the last generation mobiles, and they made the pilot and the copilot believe they were on a course when they were not on that course. They’ve changed the direction of the airplane and the pilot and copilot didn’t notice anything. Interlocutor: About that change, What was the risk or danger? Ruanel: To guide them to the storm. Because satellitally on the course of the airplane there was no storm. The airplane didn’t have the direction, the speed or the suitable altitude. The pilot saw a Storm Front, very strong for an airplane that at the same time didn’t meet the technical requirements. Apart from the hacker sabotage, the airplane didn’t meet the respective controls. It’s public knowledge, and this is no scoop, since everybody knows that the Company we are referring to, is going to change some safety protocols and navigation systems now. Interlocutor: Why did they want the airplane to crash? Is it possible… Can we know the reason they had to plot against the airplane? Ruanel: Correct, but we are not going to give details about the company; I’ll simply say that there were vested interests against it. Interlocutor: Economical interest? Not political? I mean inside the airplane there was nobody they wanted to be dead was there? Interlocutor: The idea, then, was to make people believe that this kind of airplanes is not safe…and this would benefit another company Is that right? Ruanel: The best way to sabotage a Company is obviously to make sure that their airplanes don’t arrive to their destination. Interlocutor: Do French authorities or the Company know that it was sabotage? Are they hiding something? Ruanel: In all the Companies there are Agents of intelligence, if one denies that, he is living in a fantasy world. Obviously their service of intelligence knows it. Interlocutor: And they are going to keep their mouths shut …And the Brazilian authorities know something about it too? 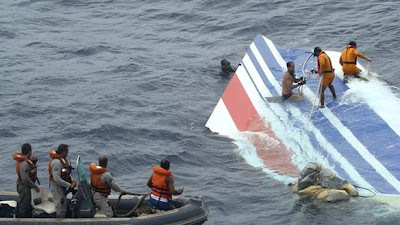 Ruanel: The Brazilian authorities although they are trying to reveal the reason of the mystery, they are mostly looking for the bodies and the pieces of the airplane. Interlocutor: Are those bodies from the 447 flight? Ruanel: In this case yes, the last bodies, previously they found parts that have nothing to do with this flight and this increased more the veil of mystery. Interlocutor: It’s Incredible they murdered a lot of people only for economical interests. Even knowing Human Nature, It’s quite shocking!! The Master Ruanel explained that the airplane was hacked with a laptop by people who were at hundreds of kilometers from it; he said that this tragedy was very painful and the air companies are safe to travel, since there are more accidents in road traffic. In a certain moment the hackers cut the communication of cell phones and the airplane had no course. It is false what people say that some passengers sent messages from their mobiles. The Master Ruanel also said that ordinary people don’t have idea how advance computer science is at the present time. These hackers also had information about satellite reports; they knew in advance the course of the storm. There were no messages from the airplane. The airplane was at 26000 feet of altitude when it began to fall. One of the Black boxes might be found if an underwater search continues since it’s located approximately at 3000 mts to 4000 mts of depth… The Master Ruanel emphasized that this topic was very painful to him. This entry was posted at Friday, June 12, 2009 and is filed under Secrets . You can follow any responses to this entry through the .